3- Leg Extension Machine: the leg extension can me found in almost every gym, it’s a staple. Unfortunately it’s a staple which can cause serious injury to the knees. The problem when using the leg extension is that the movement combined with weights creates great shearing forces at the knees. While one may not injure themselves after one use, there is a cumulative effect each time the machine is used causing injury sooner or later. In addition to this, it’s not a very functional piece of equipment and a person would be better served on other things. Alternative: there are a couple of great alternatives. One would be to perform square. Squats are great for the quads while also being a very functional exercise which works everything. A machine alternative would be to use the Leg Press with one leg. This is a great multi joint exercise which works the quads with little stress on the knee. 4- Weight lifting belts. Weight lifting belts are becoming less and less common with very good reason. The idea is that the belt will assist it’s user in being more stable. This added stability, then, will cause the person to lift heavier weights. Proponents also say that the belt had the added psychological benefit of making it’s user feel more support. The problem with the weight lifting belt is that it’s use slows the development of the core muscles. The muscles in our core are meant to provide support. They need to be loaded with weight in order to get stronger. By using a belt, these muscles have no need to be engaged and so the core is not properly developed. What happens is that the surrounding muscles get stronger but the core doesn’t leaving the very strong possibility for injury when not using the belt. Alternative: A great alternative can be to wear an elastic band around the waist. While this will not provide support, it will force the user to engage the core and develope those important muscles. So it’s been a tumultuous couple of weeks both in my business and personal lives. Add to it the pressure of making weight and I had a pretty stressful week. The goal for the past 2 weeks was basically to get my weight to 160 by the time of the photo shoot. Fortunately, I was able to make weight an the pictures came out great. We haven’t finished deciding which pictures to use but here is an example of what came out of the shoot. Diet: With it being two weeks out and my weight at 169, I basically went to a no carb diet. As I have mentioned in the past, no carb diets are not good unless you have a specific date in mind and you understand that you will put the weight back on once you introduce carbs. Once I got to about a week out, I started to eat very low calories which meant no carbs, and very low fat. I also drank a lot of coffee to help boost the metabolism and give me some energy. Breakfast- Coffee and 2 hard boiled eggs. The exercise pretty much stayed the same for me. With re focus being weight loss, I was focused on cardiovascular workouts. In the days leading up to the shoot, I did focus more on workouts that would give me more of a pump. I made the weight. I was at 160 lbs for the photo shoot so that was a 25 lb drop over the past 6 weeks. I will be updating the website with those photos over the weekend so be on the lookout. Strangely enough, the last two weeks were not as bad as I had anticipated. When I took a look back at my diet, in shocked that I was able to manage. I really had no bad urges and never felt too hungry. Even on the last day when all I had was some mixed veggies and tuna, I was perfectly fine. I guess it’s because I can get very focused on the task at hand and the hunger becomes a very minor thing for me. I was very happy with the result. The photographer was awesome and we got some really cool shots. It was definitely worth the struggle. I was also able to celebrate that night by going to my favorite Brazilian Steakhouse and I ate like a monster. The next step for me is to work on a new goal and to keep moving forward. I’m happy with where I’m at now butbi need to fight against complaciency so there is a real need to determine a new goal and work towards it. Thanks for reading. Fitness facilities contain a wide variety of equipment. This variety can make things confusing to someone with limited knowledge of fitness and exercise equipment. While variety is good and most things are worth giving a try, there are a few things in most fitness facilities which generally be avoided or used with caution. For the most part, these shouldn’t be used due to safety concerns even though, on the surface some of these seem like they are safer. This series of features will discuss the 6 things to avoid at the gym. This weeks feature: the smith mac hine and the ab wheel. 1- Smith Machine– In my experience, the smith machine is the number one culprit. Due to the sliding mechanism, it provides some assistance when performing various exercises with a bar. This gives an illusion of safety because of the assistance but in reality it is capable of doing more harm than good. A few problems arise from the use of the smith machine. The first problem is that is causes a very unnatural movement. Because the bar slides along a pole, the smith machine is a linear movement, it goes straight up and straight down. This means that any movements dome with it will be forced in that direction. The problem is that when we perform movements such as the squat, bench press or shoulder press with a bar, there is a natural arc through the movement. The smith machine does not allow for this arc and creates an unnatural movement which puts unneeded stress on the joints. Alternative– An alternative to using the smith machine would be the cable crossover machine or a barbell. Some people like using the smith machine because it gives them the impression of having a spotter but I can assure you it’s better to use lighter weights and a bar or just ask somebody for a spot. 2- ab wheel– one of the most popular fitness creations in recent memory is the ab wheel and countless other versions. The craters claim that it targets the “lower abdominals” (the subject for a later article). This claim is false because the “lower abdominals don not exist as a separate entity from the upper portion. The problem with this device is that is generally causes more harm than good. 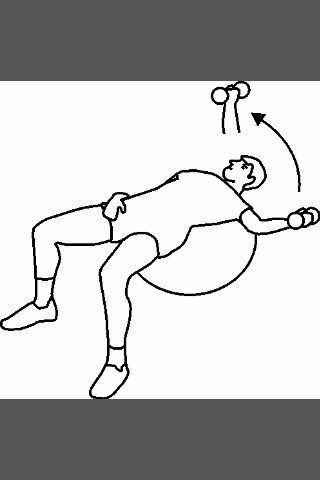 Unless used under the supervision of a professional, the ab wheel doesn’t work the abs at all and in fact mostly strains the hip flexors which eventually will lead to lower back pain. Alternative– A great alternative to the ab wheel is using the physio ball. The physio ball is an awesome device for working all of the core muscles and you will get 10X the workout without straining the lower back. Question- I have been weightlifting for some time now and I’m looking to build more mass. What would you suggest to help build mass, food wise or via supplementation? Answer- A diet geared towards building mass is one of the most challenging things because it really requires consistency, especially if the person has trouble building/ keeping on weight. As with any diet, it is first important to look at calories going in vs. calories going out. You need to be at a caloric surplus, meaning that you need to take in more calories than you burn every day. Without meeting in person it is difficult to get an exact number but this site will help get a good estimate. Once you have your daily caloric estimate (the amount of calories you burn in a given day), you need to add another 3-500 calories. This number will be your target. One pound of muscle is about 2,500 calories so you would need to add on 2,500 calories a week to build a pound of muscle a week. Once you have your target calories, things become a bit of trial and error. I always recommend that people divide their calories up over 5-6 meals but if you find that you are still not putting on the muscle, you may want to limit it to 3-4 meals (same total calories though). Every meal should be balanced with protein, carbs and fat. The next step is determining the breakdown of calories you will be taking in. When building muscle, I would say a 40/30/20 split is good. 40 percent protein, 30 percent carbs and 20 percent fat. The protein is needed for recovery but the carbs and fats are necessary sources of fuel and nutrients so don’t skimp on them. In addition to the diet, some supplementation may be helpful. An amino acid complex is great for recovery and moderate use of creatine will help give you a boost. You can click here for good deals on supplements. Obviously the second part of the process is weight lifting. It’s important that you apply the overload principle which is that each workout gets progressively harder. This increase in intensity is what will cause your body to adapt and grow. I would recommend working each bodypart 2 times a week and doing 5 exercises per bodypart with a rep range of 7-12. It is important to note that when putting on muscle, there is a good chance that you will add some pounds of fat, that’s normal and is a necessary part of the process. The most important thing is that you maintain consistency. When it comes to putting on weight/ muscle, 1-2 bad days can be disastrous. Breakfast: oatmeal w/ dried fruits, nuts and 2% milk. Snack: whole wheat pita with 2 slices of turkey and a slice of low fat cheese. Lunch: chopped steak over rice with broccoli. Pre-workout: fruit smoothie, 2 hard boiled eggs. Post workout: isopure protein shake with milk, strawberries, banana. Dinner: grilled chicken, barley, small salad with oil and vinegar. This week’s goal was to majorly increase the intensity of my workouts as well as to cut the calories by a lot. I tried to split my workouts up each day by having a morning workout and an evening one. For the diet, while not too restrictive, I limited my carbs to breakfast and ore workout. – standing pullover superset with modified pullups. The diet isn’t too much different from last week. The main thing is that I’m limiting my carb intake even more. At the end of the week, I’ll assess and decide where to go from there. I finally did it, I am below the 170 mark. When it comes to photos, I know that I need to be at 160. I’m pretty happy with the progress this week and again, it just shows how much your body can change when eating well for a couple of weeks. Surprisingly, I’ve been really energized. When I have a real goal, I get focused and it’s been that focus that I’ve been missing for the past several months. The increased exercise intensity has been manageable as well as the diet. The hardest part of the diet is the first few days. Now it’s pretty easy. This upcoming week will provide the real challenge as I need to drop about 9 pounds in a span of 10 days. The pictures will be worth it and it will be posted for everyone to see (good or bad). The iso-lateral raise is a variation on the traditional lateral raise which is great for developing the shoulders. Equipment– dumbbells. Try a lighter pair the first time as this is deceptively hard. Start- As you would with a normal lateral raise, you want to start standing upright. Keep the arms extended but slightly bent at the elbow. Laterally raise both arms to shoulder level and hold. This is the starting position. Movement- From the starting position, keep the left arm in he air and lower the right arm down to the side. Raise back up to the starting position and repeat until you have completed the desired number of repetitions. Follow that by immediately holding the right arm in the air while performing repetitions with the left arm. As someone who has been in the fitness industry, I have seen my share of good trainers and my share of bad trainers. The following post is for anyone looking to work with a trainer. Beyond the basic things to look for which can be found here, these are good signs that the person you are working with is a quality person and personal trainer. 1- Complimentary Consultation. As a personal trainer I genuinely appreciate the fact that I can make a living doing something that I’m passionate about. In order for a trainer to do well, he or she needs to build trust and a connection with the client. A complimentary consultation can go a long way towards building that trust. This allows the client a chance to “interview” the trainer and make a decision without committing financially. Any trainer who is confident in his or her abilities, should have no problem offering a complimentary consultation as this is the chance to gather data and inspire the client moving forward. Someone who insists on payment for the first meeting is usually trying to make a quick buck and is taking a very short sighted approach. 2- Connection. As somewhat of an extension from #1, it is very important that you feel some kind of connection with the trainer. The fact of the matter is, if you choose to work regularly with a trainer, that person will become an integral part of your life. You will spend 1,2 or 3 hours a week with this person, more than you may spend with you may spend with your closest friends. In many cases, personal trainers become a friend in addition to being responsible for your workouts and fitness program. With all of this in mind, it’s important that the person you choose as a trainer be someone you feel a connection to and want to work with. You could have the most qualified trainer in the world but if you don’t like them, or are not inspired by them, all of the hard work could be for naught. 3- Focus should be on you. When meeting with a trainer, their focus should be on you and your goals. This is part of the importance of #1. The trainer should be asking questions about your background, fitness history as well as your goals. If the trainer isn’t asking questions related to your goals or worse yet, if he or she is creating goals for you then something is wrong. It’s a great sign when you meet a trainer who is asking a lot of questions, this means that the wheels are turning and they are designing a program as you speak with them. 4- Specializations. While the average personal training client is looking for weight loss and toning, there are many times when a client has specialized needs. If you have any health problems or physical injuries, current or previous, it’s important that the trainer know how to work with someone in that situation. For example, exercise is vital for many diabetes patients but a trainer without knowledge of how to train diabetes patients, could cause more harm than good. The same goes for a person with a specialized goal. A great example is marathon running. If you decide to run a marathon, it’s important that the trainer have knowledge of how to train a person running a marathon. Again, a serius injury could occur with the wrong training. 5- If it sounds too good to be true, it probably is. At the end of the day, a good fitness program is going to take hard work and time. If a trainer is promising results that seem too fast to really occur or that doesn’t take hard work, it’s likely either not true or not safe. A good trainer will be able to map out a plan which will take you to your goals but in all likelihood, it’s going to take hard work and little bit of time. Question: Hi, I am a 54 year old woman. In the past few years I have gained some extra weight and have recently begun a walking program. Do you believe that walking is enough for someone in my situation? Answer: As with many of these questions, there is not a clear cut answer. Much of the answer lies in what your goals and capabilities are. In general, I absolutely recommend walking. From an activity and a psychological perspective, walking is great. For many of us, our surroundings are made for us to be lazy. We tend to lead very sedentary lives and walking is an activity that gets lost on many people. For many people, a 2-3 mile walk is a daunting task and it is much easier to take a cab, train, car or bus instead of the walk. So, I would definitely recommend anybody increase the amount of walking they do. It keeps you active, moving and also has psychological benefits. Making the decision to walk , either as an alternative to other modes of transportation or just as an activity, usually carries over to other things. You may find yourself taking stairs more often, preparing your own meals, getting up to change channels and choosing other, more active alternatives throughout the day. In addition to burning more calories, more intense exercise will increase the metabolism in a way that you are burning more calories, post exercise for up to 2 hours after the workout. More intense exercise is also important for the heart and developing the cardiovascular system and walking will likely not help in this area unless the person is severely deconditioned. When it comes to using walking as a form of exercise, we get a mixed bag. While there are definitely benefits to increasing the amount of walking you do, it’s not a replacement for vigorous exercise especially if there is a specific weight loss goal.